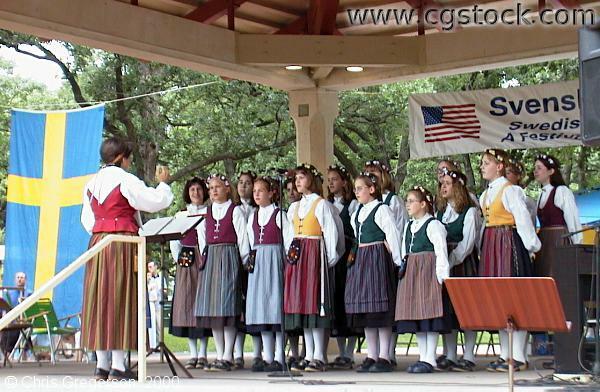 This is the Svenskarnas Dag Girls Choir, performing in Minnehaha Park. The choir was established in 1967, and has the same name as the festival they're performing at. The director is Diane Noble.